Thank you for considering Melbourne Girls’ College for your daughter’s enrolment into Year 7. We appreciate that choosing a secondary school that best suits your child’s needs is a major decision for families. Please take time to browse through our website for information regarding our Year 7 curriculum, extra-curricular program and leadership opportunities. 1. Providing a clear and transparent enrolment policy for all out of area students. 2. Providing an efficient process of enrolment that satisfies the needs of students, parents and guardians. 3. Ensuring that every enrolling student enjoys a smooth transition, thus becoming a member of our school community with a minimum of disruption and maximum support. It must be noted however, that all placements are subject to the availability of accommodation. Melbourne Girls’ College’s enrolment policy is approved by the Minister for Education. 1 – Students for whom the school is the designated neighbourhood government school. 2 – Students with a sibling at the same permanent residence who are attending the school at the same time. 3 – 50% of places remaining after criteria 1 and 2 will be allocated to students seeking enrolment on specific curriculum grounds which are the study of Science, Technology, Engineering, Art and Mathematics – S.T.E.A.M. 4 – Remaining places will be allocated to students in order of closeness of their permanent residence to Melbourne Girls’ College. Why is S.T.E.A.M. important in a high performing State girls’ school? Creativity, problem solving and innovative thinking are essentials to future life skills. Nurturing future female leaders in S.T.E.A.M. is at the core of this curriculum. As a high performing State girls’ school we need to ensure we lead solutions to issues such as the world-wide decline in girls’ participation in Science, Technology, Engineering and Mathematics and the declining trend in Australian 15 year old girls’ interest and confidence in Information Technology coding and mathematics. This is currently below the O.E.C.D. average. The introduction of the Arts into S.T.E.M. 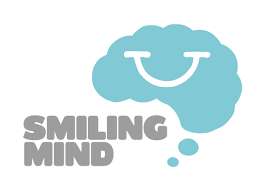 is based on international research about the curiosity and creativity skills fostered in this discipline and its impact on innovative thinking. At Melbourne Girls’ College for ‘the Arts’ we mean the Visual Arts (such as painting, drawing and sculpture) and Performing Arts (such as acting and musical performance). The Arts develops complementary abilities, understandings, skills and habits of mind in the areas of inquiry, problem-solving, and design. The O.E.C.D. executive summary on agility and movement determined there are no right and wrong answers, only agile thinkers, prepared to take risks. World Class Learners: Educating Creative and Entrepreneurial Students by Yong Zhao and research from Harvard, Stanford, York and Warwick Universities illustrate the relevance of S.T.E.A.M. to future academic success, employment and quality of life. 1. Students seeking entry to Melbourne Girls’ College under curriculum grounds must be registered with the College Enrolments Officer by a set date. 2. Each registered student will be allocated a number to provide anonymity for the selection process. This is a similar process to that undertaken for externally assessed examinations in the Victorian Certificate of Education under the Victorian Curriculum and Assessment Authority. 3. 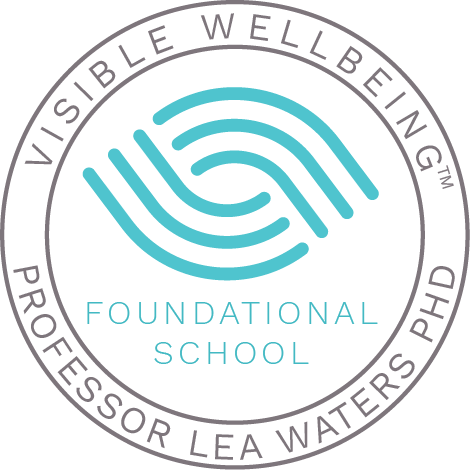 Registered students will be invited to attend the school on a Saturday in June where they will be provided the opportunity to provide written responses to questions relating to the curriculum grounds. 4. There will be no time limit on the amount of time students take to complete the questions. 5. The responses will be assessed by a panel of four people from Melbourne Girls’ College. The panel will include representatives of the Mathematics, Arts, Technology, Science Faculties and one member of the Principal class team of the College. Students attending Year 6 in a Government primary school are provided with a transition package in April by their current schools. Once the Application for Year 7 Placement Form is completed, parents return this to the primary school who then forward it onto the secondary school listed as the first preference. Students attending Independent or Catholic primary schools in Year 6 may download an Enrolment Enquiry Form here. This form needs to be submitted by the beginning of May of the year prior to the entry level. Parents email or post the completed Enrolment Inquiry Form directly to Melbourne Girls’ College (MGC). 1. Students for whom the school is the designated neighbourhood school. 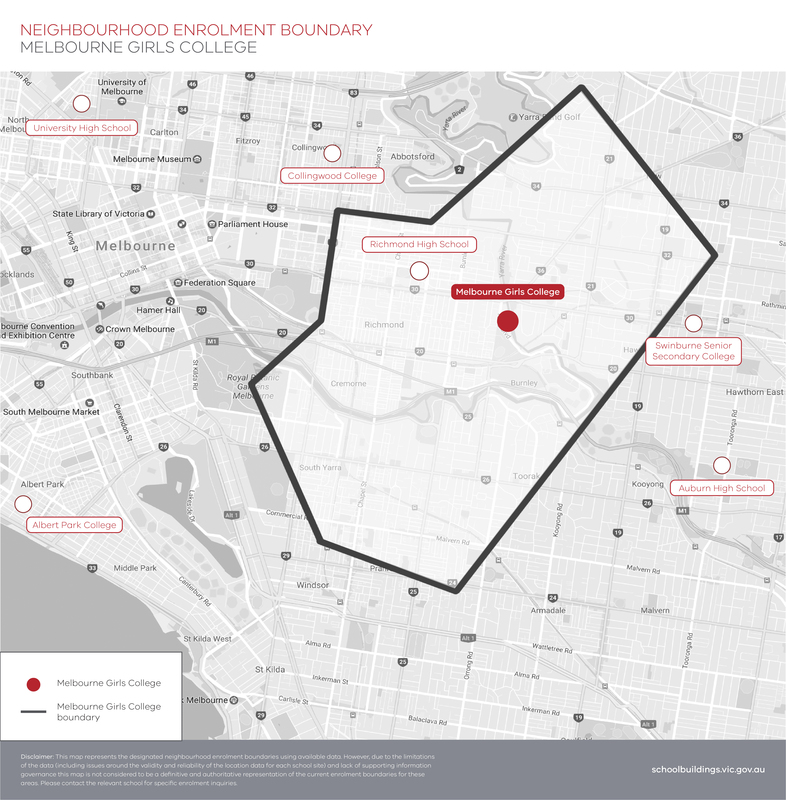 To determine if we are your closest Government Secondary College please see the Neighbourhood Enrolment Boundary map here. Please note that this map is current as of May 11, 2017. A 12 month lease completed through a real estate agent. A private rental agreement, ie. between landlord and tenant, is not acceptable. 2. Students with a sibling at the same permanent address who will be attending the school at the same time. 3. Students seeking enrolment on specific curriculum grounds. All students in categories 3-5 will be sent invitations to come to the school to provide further information. This information is reviewed by an enrolment panel, and prioritized taking into account the available places. Successful and non-successful applicants are notified by the primary schools around mid-August, while independent applicants are notified directly by the College. 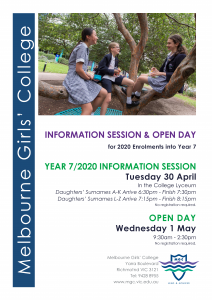 Melbourne Girls’ College has an annual Open Day and Information Evening in late April/early May (check website). There is no need to register for either of these events. Individual tours are not conducted throughout the year as they interrupt successful learning for our current students.